E3 flashes and wont print, says paper is jammed but no paper in printer. I have cleaned the waste ink tank. The printer does not want to reset, what do do now? Have replaced a black cartridge , done all the maintenance checks . The top half of the page prints quite well the bottom half is a sketchy scramble. When I print from my Canon PIXMA MP140, the printer takes a few pages, instead of just one. right before the printer takes the paper, i hear a louder noise than normal. How can i stop this? I have tried the roller cleaning thing but it doesnt work. how do i solve a failed maintance for the prints and nozzle check,,it flashes E-6-1 and and the ink status keeps flashing orange..i have not used it in a while and i have tried 3 different cartridged for colour and black. I have just installed drivers for my Canon MP140 printer i am having problems with the paper feeding through the rollers it seems to be pulling it through to the right hand roller then jamming up, the question i ask is it time for my printer to enter the scrapyard i know it only cost me Â£30 but it's been a little gem with reasonably priced original ink. E4 flashing and wont function at all!! any answers? Solution 2: MP140 cartridges have to be resetted when reloaded. Otherwise, printer will refuse to admit it's refilled and will refuse to print. Solution 3: I find the best results are obtained using genuine Canon cartridges. If you shop round you can knock pounds off the price and some companies will pay you for genuine used cartridges - at present I get Â£4.50 refund on C40 and C41 empty cartridges. Solution 1: If you google "reset ink level canon mp140" one of the options runs you through what to do. It involves taking the power cable out, re-inserting at the same time as holding down the on/off button. There are other steps but someone called "Maynard" runs you through it step by step. 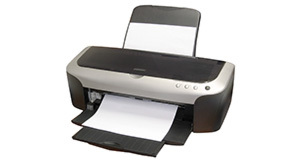 Problem: E3 flashes and wont print, says paper is jammed but no paper in printer. Solution 1: One can Try the "Deep cleaning" method. 2.Put the paper in the paper tray with the open fold facing you. 3. go to maintenance mode and select bottom cleaning. 4. let the paper run through as per print. All problems on this page have been submitted and answered by users. If you have a problem with the Canon PIXMA MP140, please submit it below and we'll post it here. Problem: I have cleaned the waste ink tank. The printer does not want to reset, what do do now? Problem: Have replaced a black cartridge , done all the maintenance checks . The top half of the page prints quite well the bottom half is a sketchy scramble. Problem: When I print from my Canon PIXMA MP140, the printer takes a few pages, instead of just one. right before the printer takes the paper, i hear a louder noise than normal. How can i stop this? I have tried the roller cleaning thing but it doesnt work. Problem: how do i solve a failed maintance for the prints and nozzle check,,it flashes E-6-1 and and the ink status keeps flashing orange..i have not used it in a while and i have tried 3 different cartridged for colour and black. Problem: I have just installed drivers for my Canon MP140 printer i am having problems with the paper feeding through the rollers it seems to be pulling it through to the right hand roller then jamming up, the question i ask is it time for my printer to enter the scrapyard i know it only cost me Â£30 but it's been a little gem with reasonably priced original ink. Problem: E4 flashing and wont function at all!! any answers?